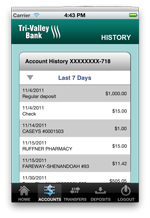 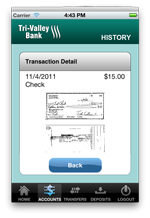 Tri-Valley Bank's Mobile Banking App offers fast, free, and secure access to your accounts. 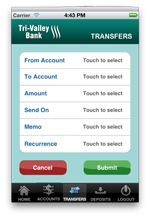 You can transfer funds on the go, and have real-time access to your account balances, account history and your check and deposit images. 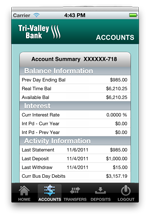 Download the app for your Android or iPhone today!